"Rebel is a beautiful word, but I don't know if I really deserve that word at this point." Her voice is a prism — reflective and colourful, sad and thoughtful, distressed and sensual, regal and warm. Her words don't come easily at first. It's early on a Saturday morning; she's two weeks away from the release of her first album under her new name: ANOHNI. Six years ago, ANOHNI released her final Antony and the Johnsons album, Swanlights. Her new release, Hopelessness, is a drastically different though no less thoughtful and beautiful record than any in her previous discography. And even though ANOHNI respectfully disagrees with the 'rebel' tag, it's one of the first words that comes to mind after listening to Hopelessness, which is electronic pop protest music of the highest calibre. Imagine racing heartbeat drum machines, slow, hip-grinding bass and piano that bounces coyly or breaks hearts or evokes stars spilling across expansive skies, juxtaposed with songs about drones dropping bombs, the Earth's rising temperatures and environmental disaster, patriarchy's insidiously destructive tendencies, corporate greed, one-percenters, identity politics and a scathing indictment of President Barack Obama's failure to live up to his election promises. This is new terrain for ANOHNI as a songwriter. 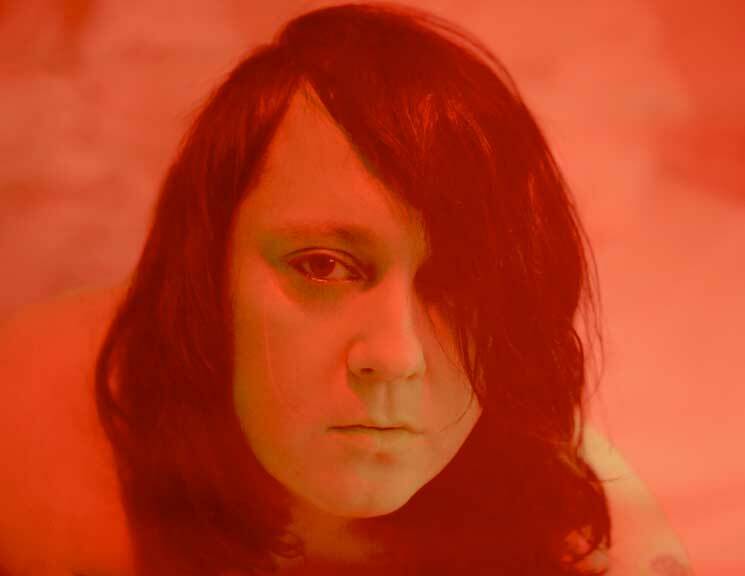 "The album is called Hopelessness, and obviously that's how I was feeling," ANOHNI says. "That was the space I had gotten to — my emotional landscape was one of hopelessness, and part of my fight to get out of hopelessness was to employ new tools to express, for instance, anger, which is something that I had largely veered away from in my body of work with the Johnsons. I had spent a lot of time voicing despair and aestheticizing sadness, and an internal search for spiritual value. Those had been my concerns with Antony and the Johnsons." Part of giving action to her anger has been examining her own complicity in the systems and structures she's condemning. "I often found myself coming up against things that were wrong as a kid, and I was never one to acquiesce very easily to systems that felt wrong to me," she remembers. "However, obviously, as a consumer and participant in this culture, if I give myself a hard look, I've obviously made a lot of those compromises." This is another reason why ANOHNI doesn't feel she deserves to be considered a rebel. In her mind, Edward Snowden and Chelsea Manning are rebels, whistleblowers who stood up at great personal risk to their freedoms and well-being. "I feel like this [record] is very much a contribution within the walls of society," ANOHNI says. "As opposed to outside the walls of society, which is a role I feel like I've experienced when I was younger. But this record is very much designed to move down the main thoroughfare of our cultures. It's about participating. All of us have that agency to suggest change and to participate and contribute and I feel like that's what I'm trying to do." ANOHNI Shares New Song "Miracle Now"
Oneohtrix Point Never Teams Up with Anohni for "Black Snow"